Where is the Liberty Bell and Independence Hall? They are located in downtown Philadelphia, Pennsylvania. Tickets can be obtained from the Visitor Center at 6th and Market Street. Independence National Historic Park in Philadelphia commemorates the birth of the Declaration of Independence and our young nation's first steps toward greatness. 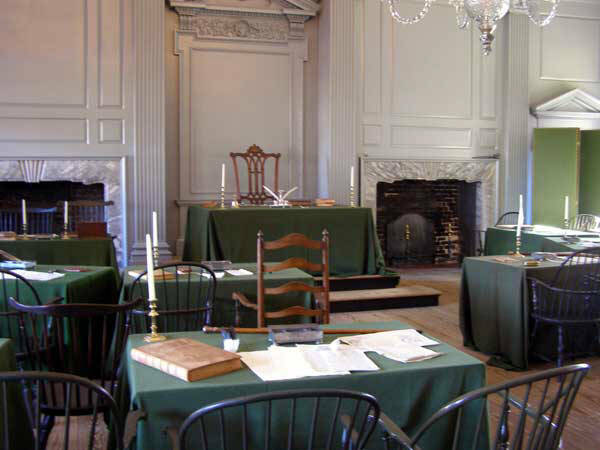 Independence Hall (originally known as the Pennsylvania State House) is where the Declaration was debated and finally approved by the Continental Congress. 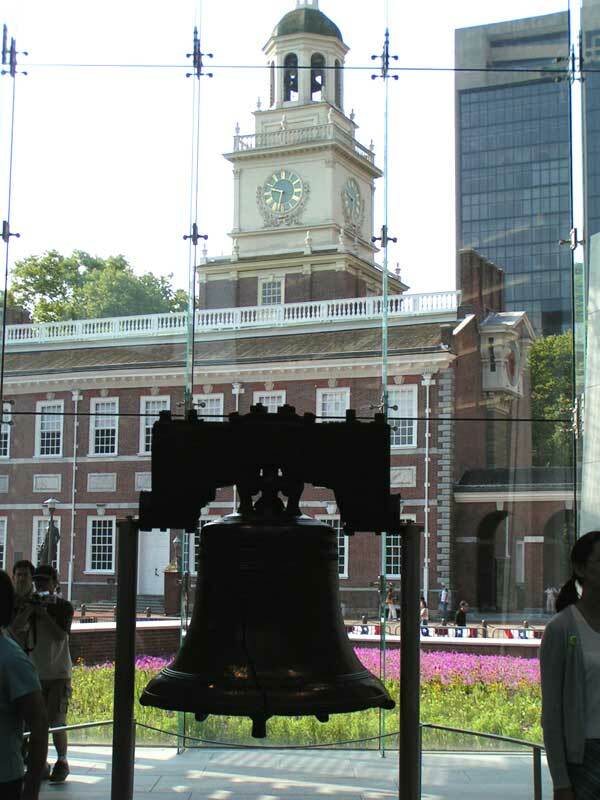 The Liberty Bell and Independence Hall are two symbols of that birth of freedom; the bell was wrung the day the Declarations was first read to the public July 8, 1776 (though some historians question the event). "Proclaim LIBERTY throughout all the Land unto all the inhabitants thereof" is imprinted on the bell, made by Pass and Stowe. The Bell actually was just the "State House bell" until it was adopted the by abolitionists in 1837 as a symbol for the movement. It was, in fact, the abolitionists who gave it the name "Liberty Bell," in reference to its inscription. 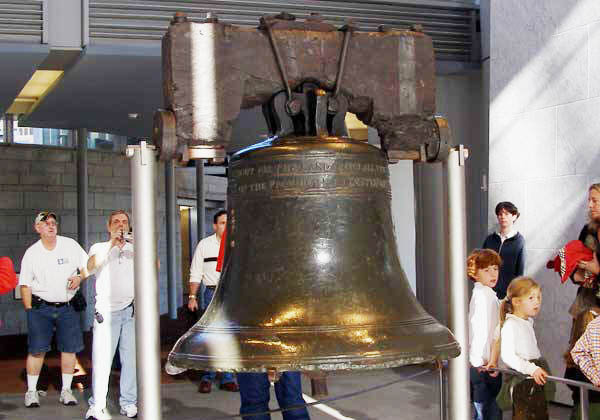 Ordered in 1751 to commemorate the 50-year anniversary of William Penn's 1701 Charter of Privileges, Pennsylvania's original Constitution, the bell arrived from Whitechapel Foundry and immediately developed a crack. The origin is unknown, but thought to be due to brittleness or flaws in casting. Pass and Stowe were given the bell to recast using added copper. After two tries, the bell was accepted and rang for many occasions including calling the Assembly together and to summon people together for special announcements and events. "The Liberty Bell tolled frequently. Among the more historically important occasions, it tolled when Benjamin Franklin was sent to England to address Colonial grievances, it tolled when King George III ascended to the throne in 1761, and it tolled to call together the people of Philadelphia to discuss the Sugar Act in 1764 and the Stamp Act in 1765. "In the past two hundred years, Philadelphia has become known as the "cradle of liberty" and the bell its enduring symbol.